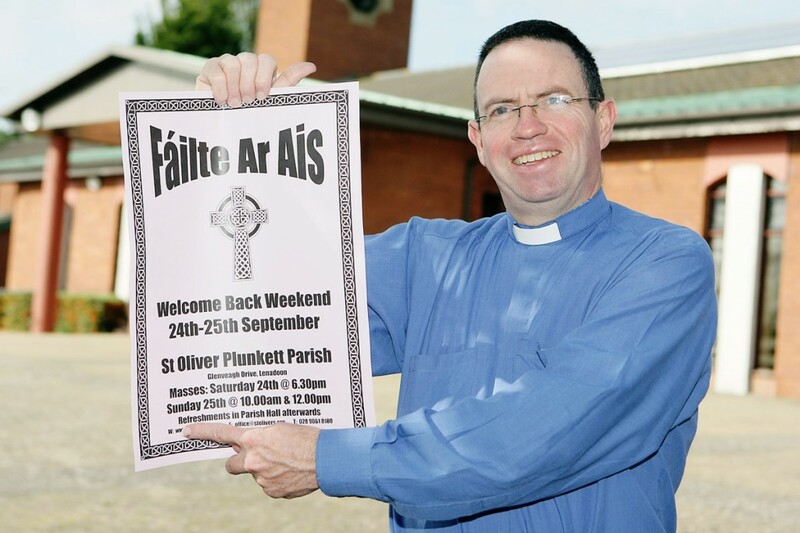 St Oliver Plunkett Parish Priest Fr Martin Magill told the Andersonstown News that this weekend is a chance to welcome parishioners and their families back to the church if they haven’t attended in a while. “People who have fallen away from Mass could fall into different categories,” he said. “There are people who have got out of the way of it for whatever reason and are thinking about wanting to come back – this is the perfect weekend to do that. We have guest speakers coming to talk about why their faith is important to them. “Myself and 23 volunteers, along with the Legion of Mary, visited over 1,000 homes in the area at the weekend and I certainly met a few people who want to come back,” he said. “This is the second year we have encouraged ‘lost’ parishioners to come back to the Church. There is still a tremendous sense of belonging to the Church within our community and it is important we work with that and don’t lose it. Fáilte Ar Ais – Welcome Back – Masses will be held on Saturday, September 24 at 6.30pm and Sunday, September 25 at 10am and noon. Refreshments will be served in the Parish Hall afterwards.